The area around the airport just got larger with the addition of the super fast airport express. 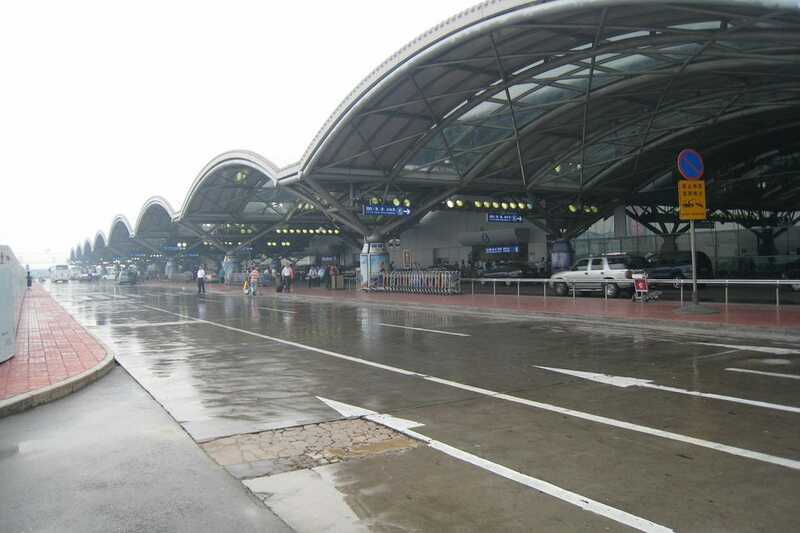 This subway connects the airport directly to the Liangmaqiao diplomatic area and downtown at Dongzhimen shopping area. Once at either of these places you can reach the Summer Palace, Forbidden City, Tienanmen Square and more. The Summer Palace is near the Airport, just a straight shot West of the airport and a little bit south. It's easy to reach and can be a quick trip if you only have a layover of five hours or so. Likewise, the Forbidden City is within reach thanks to the airport express. Thankfully the whole city is within reach thanks to the airport express. Check out The Courtyard or Chef Too, for just a few of the amazing international options within reach of the airport. If you only have a few hours and want to try the Peking duck that Beijing is famous for, head to Dadong. If you have an overnight stay in Beijing and want to party it up, head to Sanlitun area where you can rock at Bar Blu, one of the city's best nightlife spots. For a more relaxed, cultured experience head to the Drum and Bell Bar, which overlooks both towers and is near the stunning Houhai Lake. Hotel options near the airport are vast. Try the Regent Beijing for a classy way to rest your head at night. Or try The Westin, Beijing Hotel or any of the other options available online. Be wary of the cheap airport hotels that offer nothing but a place to put your head (and that not always done well). Don't miss a fun shopping trip to Sanlitun Village, where you'll find everything from clothes to food to nightlife and even a theater. This is one of the best shopping venues in town and the place to see and be seen in Beijing's expat and tourism scene. Don't miss the shops in the basement. You might also enjoy The Place and Panjiayuan shopping areas.